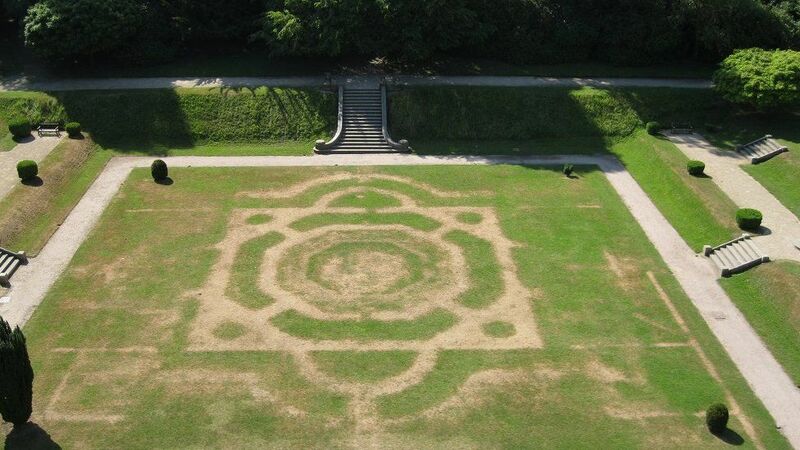 The UK’s recent heatwave has provided a glimpse into Britain’s history, revealing the outlines of ancient structures and buried features in the grounds of historical buildings. The UK is home to multiple known prehistoric structures, but these new “phantom” henges are different, their presence only perceptible due to changes in grass color caused by drought. In a prolonged spell of very hot weather, stone or wood located beneath the earth stores heat, causing the grass above it to wither and brown at a faster rate than the grass surrounding it, effectively tracing the outline of the buried structures. According to the BBC, one such henge was discovered by aerial photographer Anthony Murphy, who was operating a camera drone over Newgrange, Ireland. Murphy spotted a circular imprint in a field near River Boyne, an otherwise invisible henge located near a different imprint spotted in 2010. University College Dublin assistant professor of archaeology Stephen Davis confirmed to BBC that Murphy’s image shows an “entirely new” henge with captivating features. Others like it have appeared in the withering UK landscape, including imprints revealing the former rooms and corridors of an 18th-century mansion called Clumber House. Though the building no longer remains, stone from its foundation is still present beneath ground level. The warmer temperatures cause the grass above the stone to wither, resulting in a tan outline in a brown field. Other past structures have also become visible, including a Victorian-era garden in Lancashire (above) and the outlines of runways and dispersal pans at what was once Lasham Airfield, which was returned to farmland after World War 2.